Therapeutic proteins are one of modern medicines most powerful inventions. They are used to treat a great variety of clinical indications (e.g. cancers, autoimmune disorders, infectious agents and genetic disorders). Protein based therapeutics meet unmet medical needs and improve standard of care therapies. The first therapeutic proteins were extracted from the bodies of animals and humans or made in fermentation by utilizing naturally producing microorganisms. Modern biopharmaceuticals are typically made using bacterial or mammalian cell culture and GMP bioreactor technology. The process of protein manufacturing is highly challenging and specialized. Bioreactor based cell culturing requires tight control of all factors that may influence the yield, the quality or the potency of the produced drug substance. Proteins are generated through expression of transgenes in well characterized cell platforms. HALIX provides small to large-scale protein expression and purification services for recombinant proteins. 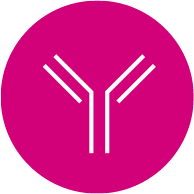 We can produce therapeutic proteins such as antibodies, intercellular enzymes, other hard-to-express proteins and cytokines to support your clinical studies using mammalian cell culturing and downstream processing of CHO cells. Outsourcing to HALIX, a dedicated Contract Development Manufacturing Organization (CDMO), increases first time right production and speeds up the market entry while minimizing operational costs, and ensuring high quality. Protein production at HALIX is very efficient and can reach high product titers. With our expertise we keep costs manageable, timelines tight and ensure a safe and well defined final product. A swiftly move through clinical trial phases to commercial manufacturing. The culturing process can be performed in shaking or stirred bioreactor systems. To find out how HALIX can support your protein production and meet your needs, please contact our dedicated staff.